OnePlus 7 may still be weeks away from the official launch but the leaks are pouring in thick and fast. By now, it is almost a done deal that OnePlus will be doing away with the notch and bring in a pop-up selfie camera instead. The other big highlight of the phone that has been leaked is related to its triple rear camera setup and Snapdragon 855 SOC. 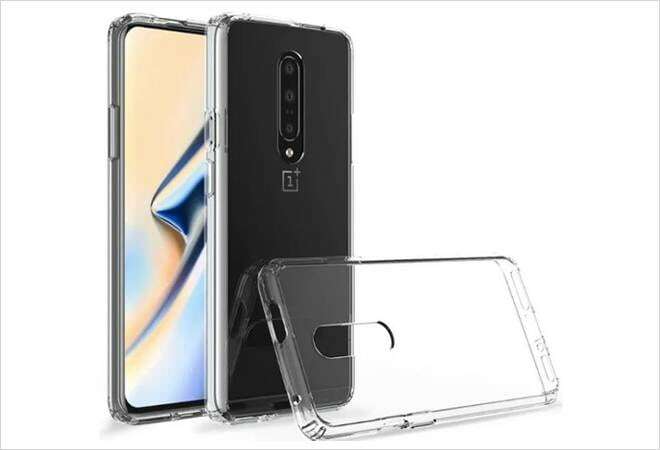 The case renders of OnePlus 7 suggest the selfie camera would pop-up from the top left and not the top right edge, as was the case with Vivo V15 or V15 Pro. The other OnePlus sibling, Oppo, had placed the pop-up selfie camera of the Oppo F11 Pro in the center of the top edge. Other than the pop-up selfie camera, the OnePlus 7 renders also revealed the three camera setup at the back, including a 48-megapixel Sony IMX586 sensor. The setup will be accompanied by an LED flash. However, renders have also revealed that OnePlus won't be bringing back the headphone jack but will keep the alert slider and the bottom firing speakers. As far as some of the specifications are concerned, OnePlus 7 will come with Snapdragon 855 processor coupled with up to 8GB of RAM and up to 256GB of built-in storage. Most of the internal changes are expected to be incremental and nothing major is anticipated. The phone is likely to have a 6.41-inch AMOLED display with faster in-screen optical fingerprint sensor. OnePlus has not revealed a launch date yet but the OnePlus 7 could be unveiled in May or June. OnePlus 7 is expected to be a good follow-up device after OnePlus 6T. The company had launched OnePlus 6T McLaren Edition in India recently to celebrate its fifth anniversary. Inspired by and made in partnership with McLaren Racing Limited, OnePlus' McLaren Edition phone with 10GB of RAM and a 30 W Wrap Charger was 50 per cent faster than the standard OnePlus 6T.